Old school: Bentley isn’t known for its cutting-edge technology. Picture: Supplied. WHEN a car costs almost as much as a house you'd think it would come with the works, but the $450,000 price tag for the new Bentley Continental GT is just the beginning. If you want the James Bond-style rotating touchscreen in the dash - which at the press of a button reveals old-school gauges or a blank piece of timber - that'll cost an extra $12,300. Advanced safety features standard on a new Toyota Corolla are split into two technology packs that cost $10,300 or $16,200. For the complete safety suite buyers need to shell out $26,500 for both - as much as the aforementioned Corolla. "We are prioritising what our customers tell us is important in a Bentley, (a choice of) 15 leather colours, eight different veneers. 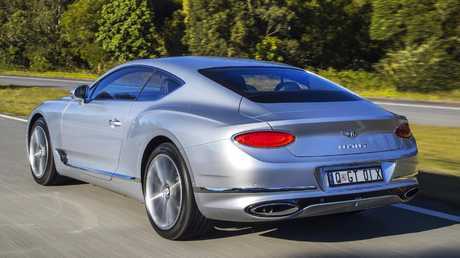 You choose the colour but we don't charge for it," says David Parker, Bentley director of product marketing. Autonomous emergency braking is standard even on sub-$20,000 hatchbacks but "that doesn't mean a Bentley customer expects it", says Mike Sayer, global PR boss for Bentley. Buyers want "the combination of luxury and performance, hand craftsmanship and the execution of design". Technology is "not what we are known for as a brand", says Sayer. This is the first completely new Continental GT in 15 years; the only carryover part is the glovebox handle. 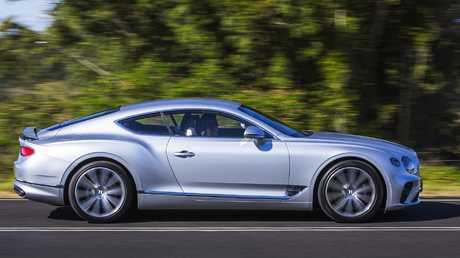 Clean sheet: The Continental GT is a completely new vehicle. Picture: Supplied. Super-rich vehicles are renewed decades apart because they are expensive to make - and depreciate even faster if updates are more frequent. The all-aluminium body is longer, wider and sleeker than before. There are 82 LEDs in each headlight, the housings etched with grooves inspired by crystal glasses. Under the stretched bonnet is a revised version of the epic twin-turbo W12 engine - as before, two V6s mounted back-to-back. It's now paired to an eight-speed twin-clutch auto; all-wheel-drive hardware sends power primarily to the rear wheels. The clean sheet of paper has enabled Bentley to create a slightly larger cabin, although the back seat is still a bit tight. Muscle car: The 6.0-litre W12 twin-turbo engine makes outrageous performance. Picture: Supplied. This is a two-seater that happens to have four seatbelts. The two in the back are best used to secure your luggage when golf clubs fill the boot. The interior is a mix of modern technology - with a digital instrument display and 12-inch touchscreen - and old school chrome, timber and leather. To enhance authenticity there is 2.8km of thread for more than 310,000 stitches in the seats and trim. However some chrome parts look like metal but feel like plastic. The new Continental GT comes into its own once on an open road. The hand-assembled W12 has phenomenal grunt and makes light work of the car's 2244kg mass. The only carryover piece from the old Continental is the glovebox handle. Picture: Supplied. Even though it's heavier than a Toyota HiLux, the acceleration is mind-bending, with a claimed 0-100km/h time of 3.7 seconds in launch mode. There's some debate about whether the switch to a twin-clutch auto was the right move. 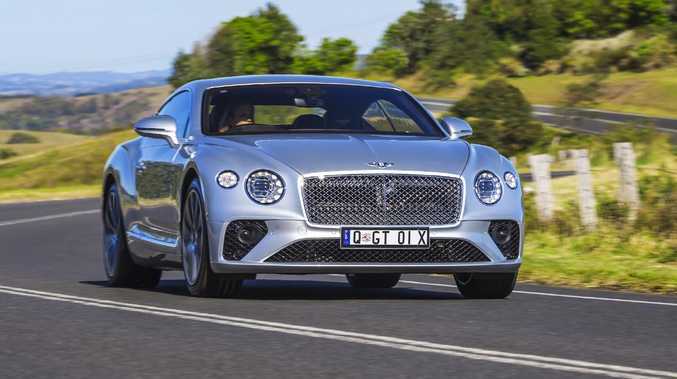 Big powerful engines customarily work best with torque converter autos but Bentley changed to a twin-clutch transmission - also favoured by sister company Porsche on its Panamera - because it says prospective buyers wanted a more sporty transmission. Bentley has done a fair job of smoothing the shifts to make it feel like a conventional auto around town, but it does trip up occasionally when braking quickly or easing off the accelerator after a short burst. Sprint champ: Despite weighing more than a HiLux the GT can sprint to 100km/h in 3.7 seconds. Picture: Supplied. Comfort over bumps on the standard 21-inch rims and optional 22s is surprisingly good given their low profile rubber. However, the 21-inch tyres are noticeably quieter because they are made with "noise cancelling" material. The grip in corners is profound and the brakes - among the largest fitted to a production car - are as impressive as the acceleration. Minor complaints: the steering can feel vague in comfort mode and the exhaust is too quiet, even in sport mode. Most buyers may prefer to travel incognito but I reckon there will be plenty who want to make a grand entrance - or departure. Price: The price is $422,600. Add stamp duty and it will end up between $440,000 and $450,000 drive-away. 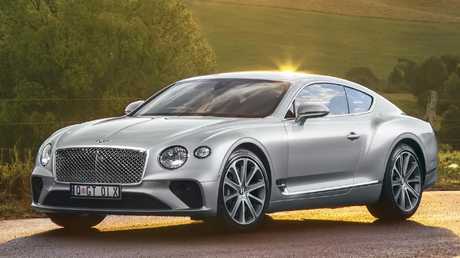 Superseded Continental GT V8 was $402,000 and the W12 $431,000 plus on-roads. Tech Coolest new feature: 12.3-inch touchscreen in the centre of the dash rotates James Bond-style at the press of a button to present three analog gauges or a blank piece of timber, a $12,300 option. Not so cool: advanced safety tech is an optional extra. Performance The twin turbo W12 has been overhauled to pump out 467kW and 900Nm - up from 434kW and 720Nm on the 2015 update. Claimed acceleration has been trimmed from 4.1 seconds to 3.7 seconds. Driving The previous eight-speed torque converter auto has been replaced by an eight-speed twin-clutch auto. All-wheel-drive remains but it's on-demand and is rear-drive biased. 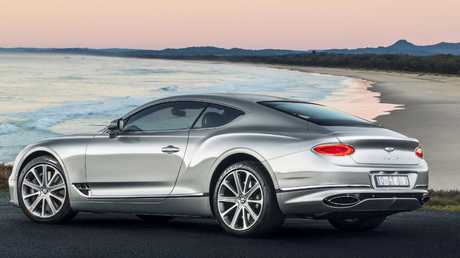 Style master: The GT’s coupe body gives it a handsome profile. Picture: Supplied.